Got an insatiable sweet tooth? Try making this quick and easy carrot halwa, using carrots of course, condensed milk, ghee and loads of nuts. Transfer the grated carrots to a pressure cooker. Cook for about two minutes. Remove the lid from the cooker. Allow excess water to evaporate. Keep churning the carrots occasionally. Pour milk and ghee over the cooked carrots. Simmer till all are well blended. Sprinkle with grated cashew nuts, almonds and cardamom powder. 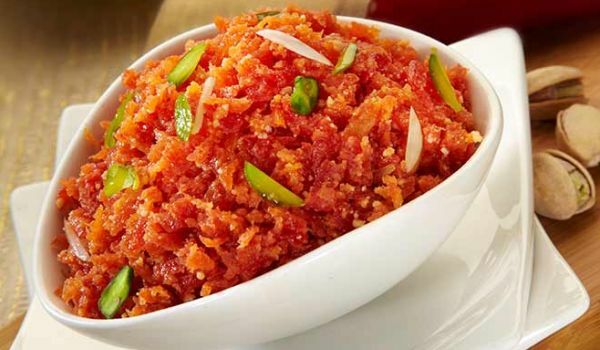 Carrot Halwa is ready to serve.